Which of the following about ADSPEC is FALSE? ADSPEC sets an SDP's MTU to the smallest MTU value found along the LSP path. ADSPEC can be enabled on individual LSPs. RSVP must be enabled on all MPLS routers of a path to use ADSPEC. ADSPEC can automatically adjust the service MTU. Which of the following is a characteristic of a VPLS? All SAPs of a VPLS belong to the same broadcast domain. Multiple VPLSes on the same router share a single MAC FDB. When a new site is added, all the existing sites need to be shutdown and re-provisioned. An additional T-LDP session is required between PEs for each additional VPLS that is provisioned. VPRN is functioning properly, which of the following commands will succeed when performed on router R1? 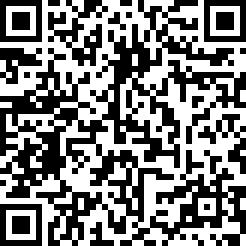 "oam vprn-ping 100 source 192.168.10.1 destination 192.168.20.1"
"oam vprn-ping 100 source 192.168.20.1 destination 192.168.10.1"
Which of the following about VPN labels is FALSE? They are signaled between PE devices using MP-BGP. They indicate to the egress PE the VPRN to which a packet belongs. They are swapped at each P router as a packet crosses the service provider network. They are also known as the inner label or service label. Based on this output from PE router R1, how many other PEs are participating in the VPRN? Which of the following about VPRN VRF tables is FALSE? A PE uses the same VRF table for all the VPRN services on it. A PE uses a VRF to route traffic to CEs. A PE uses a VRF to maintain forwarding information. Information for VRFs can be advertised between PEs by MP-BGP. Which of the following about SDPs is FALSE? An SDP is not required for a local service. An SDP can use the system IP address to indicate the far-end router. A single SDP can carry different types of services. An SDP can simultaneously support GRE and MPLS encapsulation. Which of the following about VPLS MAC learning is TRUE? Mesh SDPs assist MAC learning by flooding traffic to other mesh SDPs. The FDB only stores the MAC addresses of remote sites. A PE keeps a single FDB for all VPLSes it has. Frames received on a SAP that are broadcast, multicast or unknown are flooded. A network consists of four PE routers. A customer requires a VPLS and has sites connected to each PE. The VPLS is fully meshed using IP/MPLS. How many SDPs must be configured on each PE? The FCS is verified and removed from the frame. The VLAN tag is kept for transport over the network. must be used for the IES? On which object is ADSPEC enabled? describes default Alcatel-Lucent 7750 SR behavior? The VLAN tag is kept, a VLAN of 0 is added, and the frame is transported over the network. The VLAN tag is removed, and the frame is transported over the network. The VLAN tag is kept, and the frame is transported over the network. Which of the following about the Isp-ping command on the Alcatel-Lucent 7750 SR is FALSE? An echo request is sent based on the LSP's label stack. The test fails if the LSP is not operationally up. Echo reply packets may not take the same path as the LSP. which of the following is required as part of the configuration? Both PE1 and PE2 need a mirror source. PE2 needs a mirror destination that specifies a SAP. Both PE1 and PE2 need a mirror destination. PE2 needs a mirror source with the remote source specified. PE1 needs a mirror source with the remote source specified. Which of the following about route distinguishes on the Alcatel-Lucent 7750 SR is TRUE? Route distinguishes are appended to IPv4 prefixes to form IPv6 prefixes. CE routers use a route distinguisher to indicate which VPRN they are associated to. A route distinguisher combined with an IPv4 prefix produces a VPN-IPv4 prefix. Which of the following about VPRNs is TRUE? Customers must use the same routing protocol as the service provider. For each VPRN, only one customer can be connected at each PE. 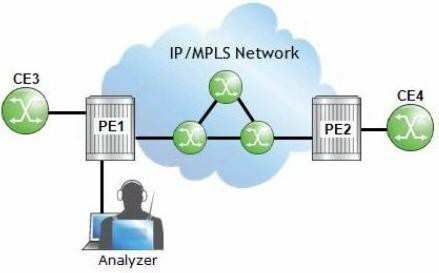 Customers belonging to the same VPRN service must use the same subnet. Service providers only need to perform configurations on the PEs to add additional VPRNs. 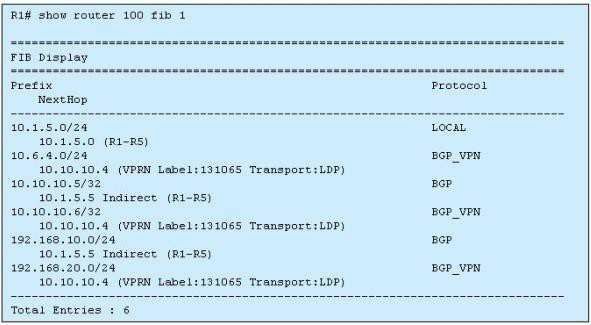 is the BGP family configuration for the MP-BPG on the PEs? Which of the following comparisons between E-pipes and VPLSes is FALSE? They both function as a Layer 2 switch from the service provider's perspective. MAC addresses are learned by VPLSes, but not by E-pipes. They both support SAP encapsulations of null, dot1Q and Q-in-Q. They both use SAPs as the demarcation point between the customer and the provider. Which of the following about the Alcatel-Lucent 7750 SR sdp-ping is TRUE? It tests the IGP reachability of the far-end IP address of an SDP. It tests the reachability of hosts connected to an SDP. It tests that the MTU settings of a service are correct. It tests in-band, uni-directional or round-trip connectivity of SDPs.